""Where Golf and Beauty Meet." Winners Tuesday 19th- Saturday 23rd. Tuesday: Ian Dixon 39 Points. Thursday: David Head 35 Points. Winners Tuesday 15th – Thursday 17th Jan.
Tuesday Shayne Harland 42 Points. 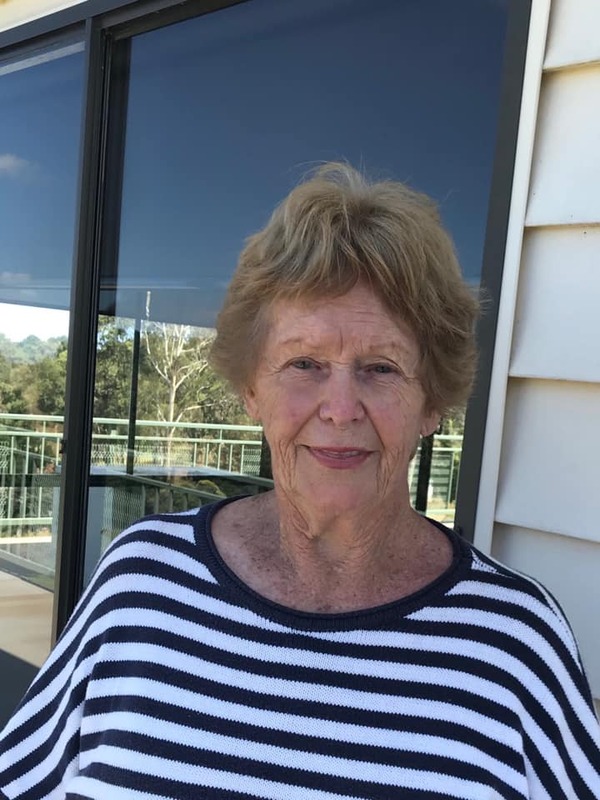 A Grade – Lynette McIvor- Pic Left-(20) 73 net. Monthly Medallist on a c/b from Sandra Webster. Runner-up Judy Webb (16) 76 net. 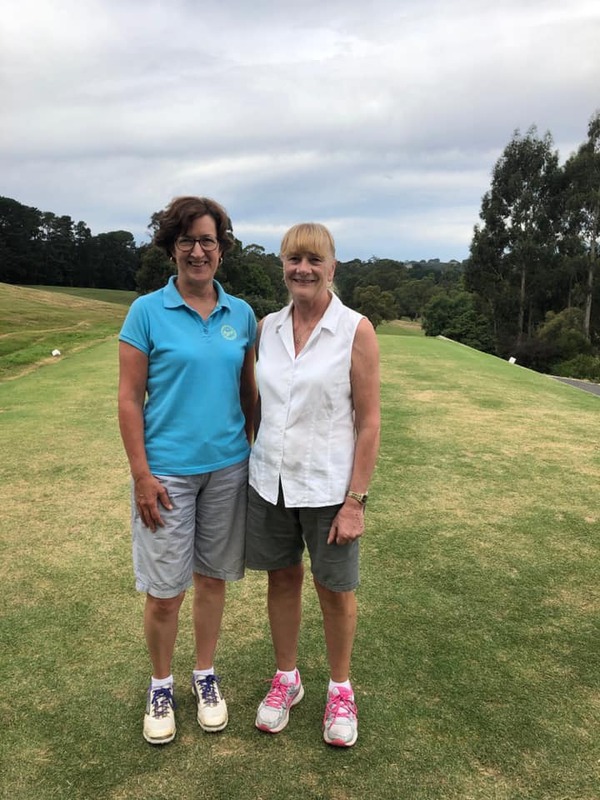 B Grade- Sandra Webster -Pic Right-(33) 73 net, runner-up Jenny Blackmore (27) 76 net. NTP- 1st Sandra Webster, 13th Sharon Adams. BDTL Joan Peters and Betty Yann both 79 net. Winners Thursday 16th January Stableford Winner Shayne Harland 37 Points. Runner Up: Bill Hessles 36 Points. NTP 1st Nathan Wardle, 7th Nathan Wardle & 13th Graham Britton. NTP 1st Ian Cash, 7th Shane Sartori, 10th Shayne Harland & 13th Murray Webb. Wednesday: Winners were Jenny Blackmore (27) and Lee Clements (11) with a terrific +7. Runners up: Jan Louise Hewitt (27) and Lynette McIvor (20) with +4. NTPs went to Moira Rogers (1st) and Jenny Blackmore (13th). 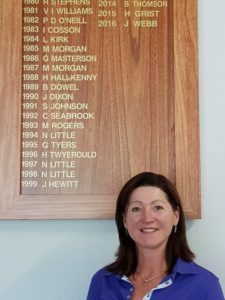 Winner in Ladies Stableford: Jenny Blackmore 36 Points. Tuesday: Chris Clements (9) 41 Points. Wednesday: Marg Harper (37) 39 Points. RU Pam Evers (34) 35 points. A Grade Rod Spokes (13) 66. Scratch Winner: Mat Wrigley (3) 71. Tuesday 24th Winner: Brian Clasby 41 Points. Wednesday 25th Winner: Kath Welsh 34 Points. Thursday 26th Winner: Ross Besley 43 Points. Saturday 28th Winner: A Grade – Shane Satori 42 Points. B Grade – Chris McConnell 43 Ponts. Annual Tournament Tee Times Tuesday 27th November. Author kgcPosted on 25/11/2018 Leave a comment on Annual Tournament Tee Times Tuesday 27th November. Winners in A Grade: Mat Wrigley (3) & Mick Belvedere (18) 61 Net. Winners in B Grade: Nick Besley (25) & Kurt Cosson (32) 60 Net. 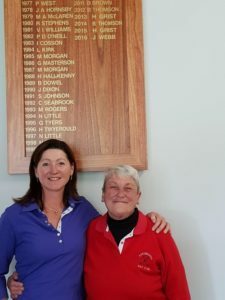 WELL DONE MERRISSA IN BREAKING 90 FOR FIRST TIME AND WINNING “STAR” MEDALIST FOR 2018.